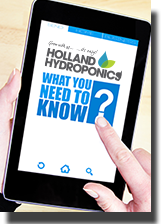 Holland Hydroponics stock a variety of rooting compounds, including all micro and macro-nutritional elements needed for plants to develop. Available in liquid, powder and gel form and suitable for all hydroponic systems. Brands include Shogun, Canna, Rootit, Grotek, Growth Technology and Vitalink. One part nutrient From Canna for seedlings and rooted cuttings. Katana Roots by Shogun Fertiliser is a root stimulant that can be used during propagation/germination, the vegging phase along with the first three weeks of flowering. Startbooster is a specially formulated 100% organic booster which stimulates the development of the root system and vegetative growth. It improves the development of stems, root system, and also improves microlife biomass populations. 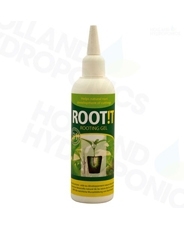 Rootit Rooting Gel is a great product for helping to promote natural root development on delicate clones and cuttings. Enhance vigorous root growth whilst feeding the plants. Formulex is a specialist one-part fertiliser. Clonex Rooting Gel contains a full profile of nutrients and trace elements to accelerate root development. It also contains antimicrobials to protect your cuttings from disease. Clonex Spray Mist is an easy to use natural root stimulator.